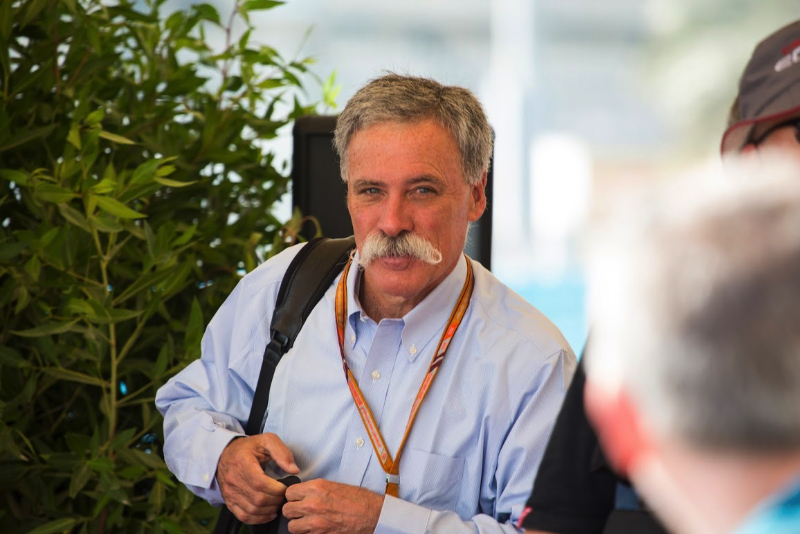 Chase Carey, F1's chief executive, says the major group of disgruntled race promoters is making "noise". Earlier, 16 of the sport's 21 race organisers hit out at Liberty Media's management, particularly the large annual fees paid to the F1 owner. "It's part of life," American Carey, who took over from long-time F1 supremo Bernie Ecclestone, told ESPN. Christian Horner, boss of the Red Bull team, thinks Carey has run into problems because of his desire to run F1 democratically. "You would have never heard a promoter talk out about Bernie, because they wouldn't have had a grand prix the following year," he said. Carey dismissed the promoters' complaints as "noise". "You are going to find a bunch of people who have something to complain about and are going to make noise," he said. "It's not going to change what we are doing," he said. Organisers of the grand prix in Azerbaijan's Baku are apparently not among those at loggerheads with Liberty. On its official F1 website, Liberty announced that a new contract will see that the popular street race "will be part of the F1 calendar until at least 2023". "I would like to extend my special gratitude to Mr Carey and everyone at F1 for proving themselves to be such great friends to our race," said race official Azad Rahimov. "Extending our contract was never in question and we are delighted to stay in this wonderful sport for another five years at least."